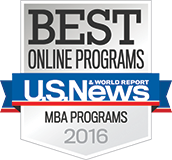 Recognized by College Factual as the #6 MIS program in the USA, the Management Information Systems program at Saunders College of Business is also offered at the Weihai Campus of Beijing Jiaotong University (BJTU) in China. 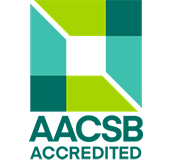 The program is delivered in English reflecting the successful partnership between Saunders and BJTU in providing AACSB accredited degree programs. The BJTU Weihai Campus represents one of the many of RIT International Campus locations across the globe offering Saunders business programs. 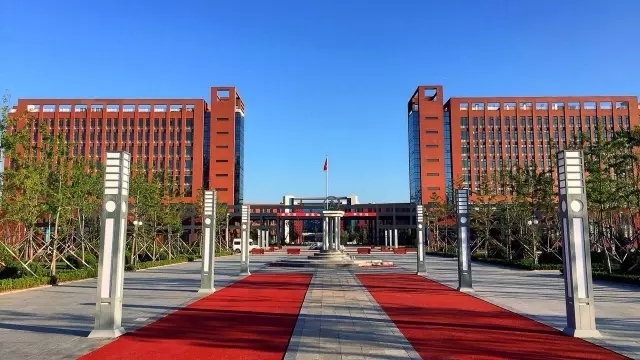 Beijing Jiaotong University (BJTU) is a key national university under the direct administration of the Ministry of Education and now is jointly supported by the Ministry of Education, the China Railway Corporation and Beijing Municipal Government. BJTU is one of the first universities selected into the “National 211 Project” and the “985 Strength Discipline Innovation Platform” project, one of the first institutions authorized to confer master’s and doctoral degrees. BJTU, as the leading organization, has established the Collaborative Innovation Center for Rail Transit Safety, which is one of the first 14 collaborative centers approved by the Chinese government to enter the “National 2011 Projects”. BJTU has been rated as Top 100 in QS University Rankings: BRICS for three consecutive years with six disciplines rated successively in the Top 400 Categories of QS World University Rankings by Faculty and Subject. “Think of the source while drinking the water, love the country and honor the alma mater.” Today, with 120 years of history, BJTU carries on her mission, following the motto of “Learn and Practice” and the spirit of modesty, caution and innovation, remembering the demand and expectations of the former national leaders, and striding towards the goal of building a world-renowned university with high-level distinction. 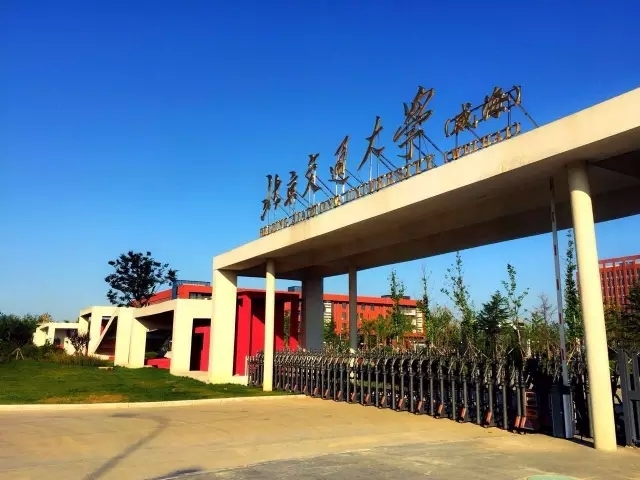 Located in the scenic coastal Nanhai New Area, Weihai, Shandong, BJTU Weihai Campus is being built to serve the internationalization strategy of BJTU to become a world-class university with distinguished characteristics. This supports the initiative of the Blue Economic Zone of Shandong Peninsula and the national development strategy of “One Belt and One Road”. Designation: An international campus of BJTU to host international joint programs and institutions, BJTU Weihai Campus introduces advanced education concepts and curricula, taking advantage of imported textbooks for English or bilingual teaching, and conferring dual degrees by BJTU and its global partner universities. Mission: With the principles of high-level starting point, new-mode, internationalization and multi-cooperation, BJTU Weihai Campus aims to produce comprehensively-developed talents who have a global vision, conversant with international practices and regulations, equipped with professional knowledge and skills, and having a good sense of innovation, responsibility, cooperation and integrity. Prospect: The total student body is expected to be 5,500 in 2019, including 480 undergraduates from joint program of Management Information System (MIS) between BJTU and Rochester Institute of Technology (RIT), which started in 2015. Management Information Systems combine information theories and technologies with characteristics of engineering. With courses covering related disciplines such as Internet, Big Data, and E-commerce, coupled with a foundation in business management, the multi-subjects discipline aims to produce talents to analyze, design and develop information systems. The program includes a solid foundation of computer technology and a strong emphasis on applied learning. This program is committed to producing comprehensive talents for the construction of information systems and management of information resources. Students will have a good command of English with a global vision. They will learn to work independently, as well as in teams while being conversant with international practices and regulations, and they are capable of analyzing, designing, enacting and evaluating information system. The “4+0” mode will be adopted for the undergraduate program. The Curriculum Plan is co-designed by BJTU and RIT. In principle, students are required to undertake their full-time study at the BJTU Weihai campus for four years with an opportunity to be an exchange student in RIT for one semester or one academic year. Graduates who satisfy the respective requirements for degree of both BJTU and RIT, will be conferred degrees respectively from BJTU and RIT, as well as a graduation certificate of BJTU. Graduates satisfying respective requirements will receive priority consideration to graduate programs of BJTU and RIT. Optional Courses: Data Structure, Operational Research in Management Science, Methodology of Information Management and Innovation Education, Principles of Principles of Management, Expert and Decision Support Systems, Network System Development, Enterprise Information Systems, Safety and Safeguard of Information Systems, Database Systems Development, Technology and Application of Internet of Things, Technology and Application of Business Intelligence, Advanced Systems Analysis and Design. The matriculated student is registered as a student and a resident in BJTU Beijing Campus. Graduates satisfying respective requirements will be conferred degrees by BJTU and RIT, and a graduation certificate by BJTU. School of Economic and Management of BJTU is one of first universities selected into the Pilot School approved by the Ministry of Education in 2011 as the only one of the category of Economics and Management; As one of the first colleges of business approved by the Association to Advance Collegiate Schools of Business (AACSB), Saunders College of Business at RIT has received consistently high rankings as TOP 5% among USA Business Schools. The curriculum plan is made jointly by both universities, involving their strong courses. The courses are taught jointly by teachers from both universities with more than 1/3 professional and core courses taught by RIT teachers and BJTU teachers with overseas teaching experience. The specialty courses are conducted in English or bilingually to improve students’ English competency in listening, speaking, reading and writing. The practice courses, counting for 35% of all the courses, combine the courses of practice and training of BJTU with CO-OP of RIT to enhance students’ ability of application. Graduates satisfying respective requirements may enjoy priority consideration for graduate programs of BJTU and RIT. As an international campus of BJTU hosting international joint programs and institutions, BJTU Weihai Campus provides consulting services for studies, employment and studying abroad adhering to international conventions of management.